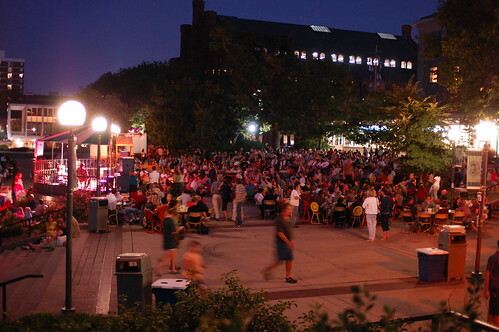 Friday night was another of those perfect nights at the UW Memorial Union Terrace. The weather was perfect, a balmy 70 degrees (F) and calm, with the mosquitos gone after the recent cold snaps. 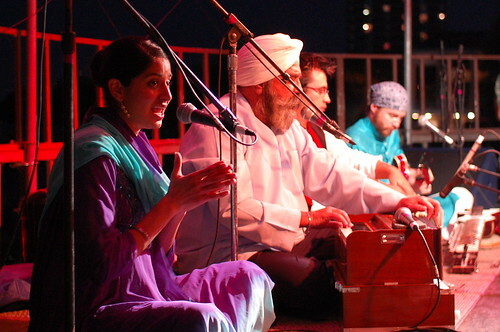 The World Music Festival is going on, and the music was interesting and, of course, free. The Terrace was packed. I was only mildly interested in the first performers we heard, but the second group, Dya Singh (India), was quite good. We stayed longer than we anticipate in part because of the music, and in part because we ran into friend after friend and lingered to talk. My visiting sister likes to turn in early, so we left the Terrace, and en route to the car I placed a phone order for a fetaliscious pizza from the Glass Nickel. Yum! Another perfect Friday night in Madison.